Now here's a great idea from author James Holland to interest some boys normally reluctant to read. 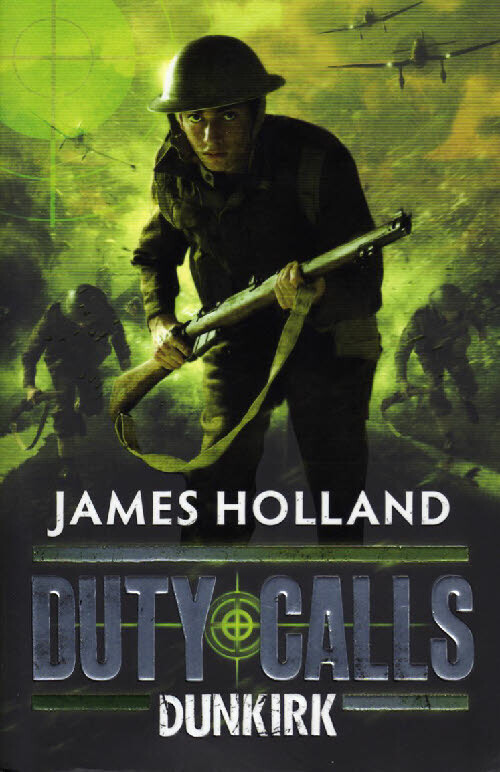 Like the 'My Story' series, his book, called Duty Calls - Dunkirk, takes the reader into a factual world using a fictional character. In it, sixteen year old Johnny Hawke is one of the troops of the BEF retreating towards the beaches and the rescue ships. It's a tale in which Johnny sees the horrors of war close up and leaves boyhood behind. With maps and details of the forces involved and a great web site www.dutycallsbooks.com providing interviews with survivors and a newsletter, this series could open the door to adventure fiction for any number of boys. Looks like Monty here can't believe his eyes as Milly flies past. 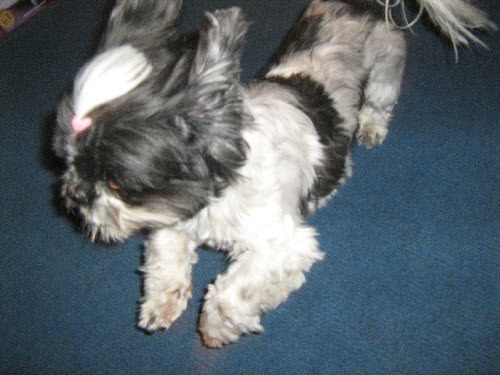 Or perhaps he wants a pink ribbon too. She just wouldn't keep still enough for a good picture, she was so pleased to see us. Or was it the biscuits? Talking of grub, what with Marilyn's delicious choc cake last week and Lemon Drizzle Cake and three slabs of chocolate brownies gifted by lovely customers this week, David and I are easily able to avoid eating the Galaxy chocolate left over from Independent Booksellers Week. Still a free bar of Galaxy if you buy one of the listed books, folks. Just drop by and ask which ones count. 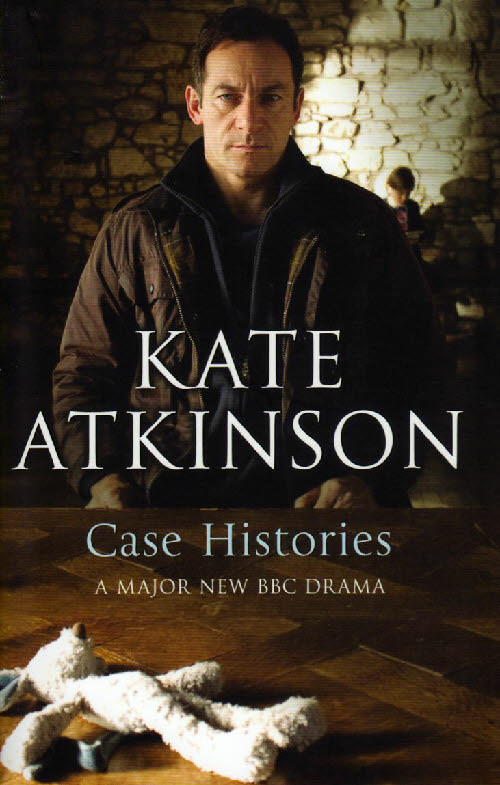 I enjoyed the first of the Jackson Brodie books by Kate Atkinson but couldn't fit the others into my busy reading schedule so I was pleased when Case Histories turned up on TV. I was delighted with the result and with the work by the show's star, Jason Issacs. 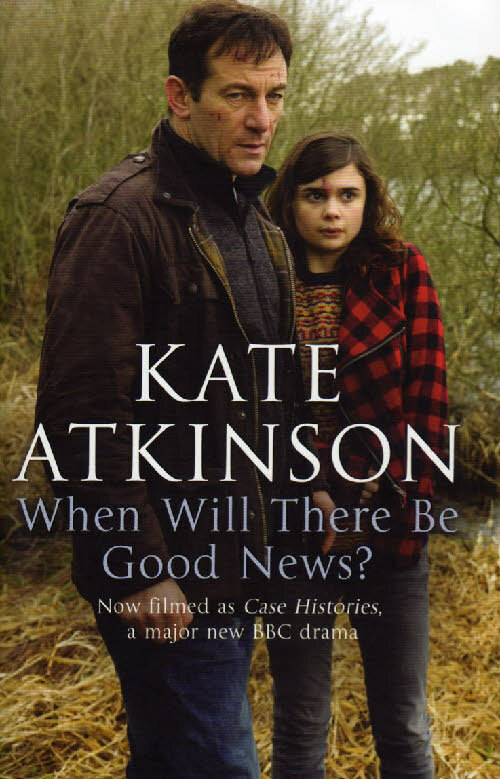 I was also blown away by the impressive little Scottish actress playing Reggie, Gwyneth Keyworth. 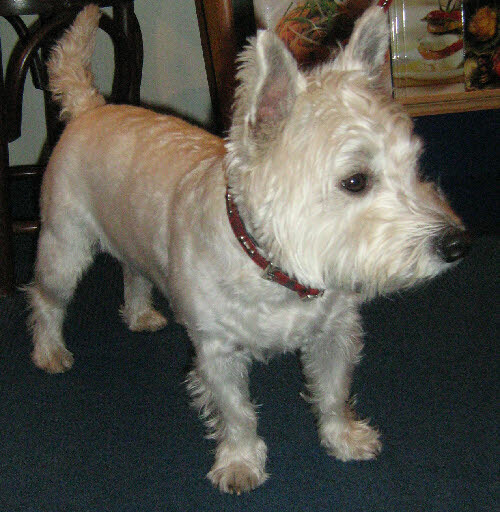 Even more so, when I discovered that her name pointed to another country altogether - the amazing little Scot is Welsh! 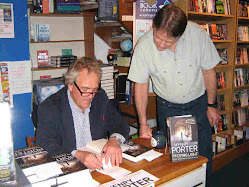 Waffle over - just to point out that we have Case Histories and When Will there be Good News in stock. 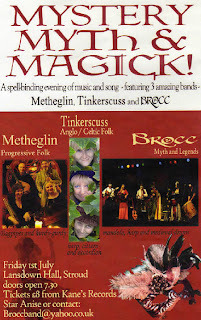 Many of you will hear the music of the folk singers, Tinkerscuss, when you are in the shop. Tinkerscuss started as the two sister team who we know very well as Bryony and Erin from Bourton-on-the-Water. They now have increased their size by 50% and evolved from a duo to a group. 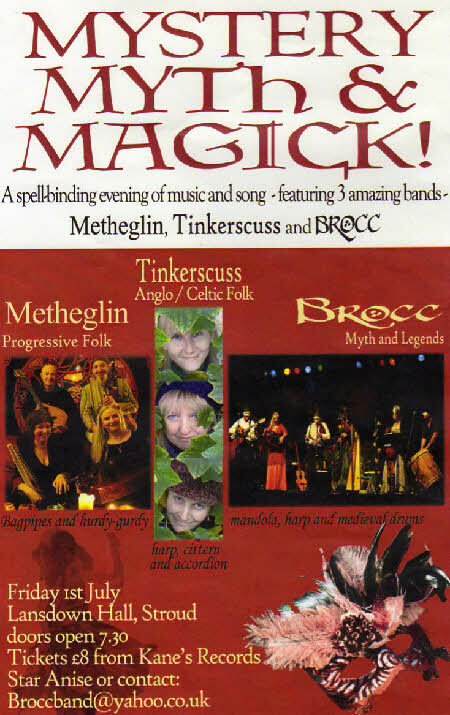 They will be on stage with Metheglin and Brocc on Friday 1st July at Lansdown Townhall, Stroud. Contact Broccband@yahoo.uk.co for tickets at £8.00 each. Just scroll down a little to see the news and also, how the fiendishly clever Panama Oxridge has planted even more clues under our noses. Meantime, in Cotswold Bookstore, we are sending out hundreds of postcards across the world to those who bought Justin Thyme from us inviting them to buy a signed dated copy of Thyme Running Out. If you are expecting to hear from us but don't receive a card, please let us know and we can put you on the ever expanding list. photographer, Ann, when they dropped in with a poster for next week's window. 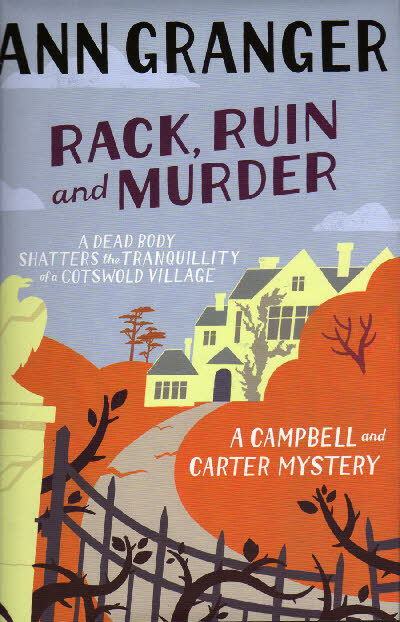 Interesting to note that the discovery of the murder victim in his book, Death on the Marais, is based on a factual incident and much of the book and its characters are not so far removed from the truth. We're all looking forward to his signing on 16 July. His books purchased that day will include a very special token to give you a massive discount on the second in the series, Death on the Rive Nord, published at the end of August. Ann was kind enough to take a photo of David, Adrian and myself but next time, we'll have her in shot as well. There are plenty of books which walk you past (and into!) the pubs along the way but here's a new approach to a walking tour. 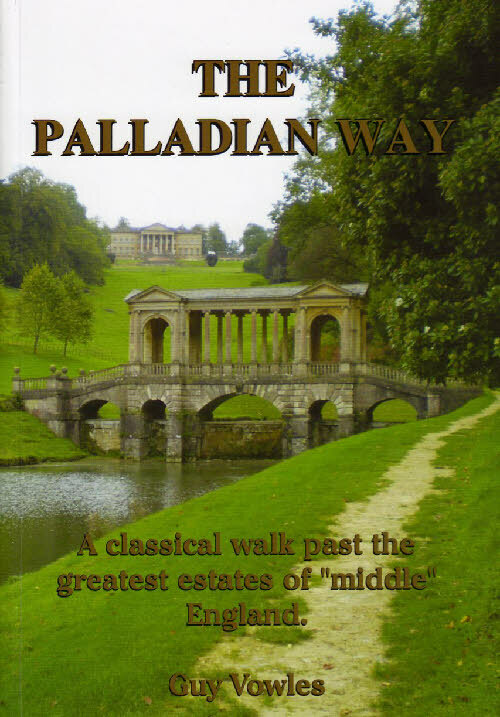 The new book by Guy Vowles,called The Palladian Way, sets out to take you near "... the greatest estates of 'middle' England." North to south, the route takes walkers from Buckingham and Brackley past Bicester, Woodstock, Burford, Cirencester, Malmsbury and ends in Bath - quite a stretch! 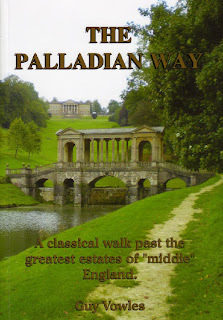 In doing so, walkers can visit many great houses along the route such as Stowe House, Kirtlington Manor, Minster Lovell and, of course, Blenheim Palace as well as many other ruins, buildings and estates of interest. Because the book is packed full of historical detail it makes an interesting read, even if only one or two segments of the route are tackled (the whole route is 123 miles). The mapping is clear, colourful and attractive. My only complaint would be on the standard of the photographs for I thought many of them could be improved by covering the ground on a better, brighter day. That was quick. 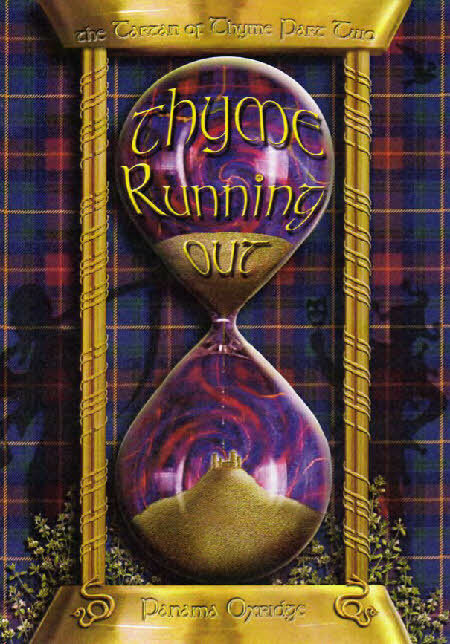 Already had our first internet order for the new Panama Oxridge book, the sequel to Justin Thyme, Thyme Running Out. That was from the USA. Our first over-the-counter advance order was Friday. I'll let you know the numbers as they build up. Don't be last in the queue. It's gonna be a long one. Now here's excitement for you! 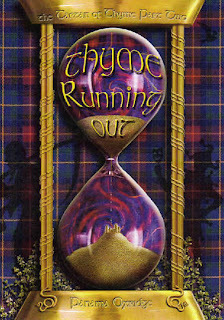 Our first hint of the second in the Tartan of Thyme series, which is due for launch in October, has arrived in the form of the postcard, right. 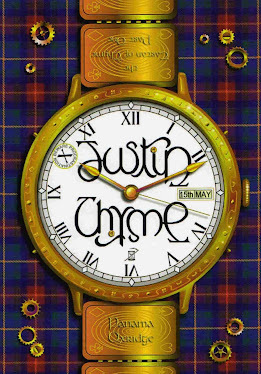 Called Thyme Running Out, the new book continues the story of boy inventor, Justin Thyme and his adversary, Agent X who is out to steal the Time Machine. I think! I can't wait for the further adventure of the eccentric household which is Thyme Castle. Here's a nice quote from a good friend to the shop. Hope you don't mind me using this J. 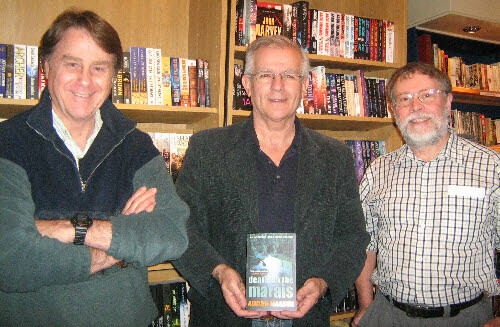 'We must support the small friendly independent Book shops,that perform such a vital role in maintaining the quality of life in small towns. A great deal is lost if everyone sits, isolated, clicking on web sites to get cheap bargains.Community life is steadily eroded,people get depressed and Tesco and Amazon guzzle up more town centers like loggers clearing more and more of the rainforest chasing so called profits. 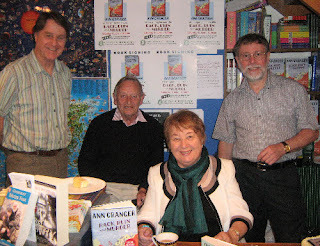 We were very pleased to meet with author Ann Granger and her husband John today. Ann came in at exactly the right moment as the photographer from the Cotswold Journal was raring to go. Ann sold heaps of her books. Two ladies went out with at least eight books each and the total sales for the morning approached forty. In fact we were often too busy to offer wine to our customers so now we will have the bother of drinking it all! Another highlight of the morning was the wonderful cake that Marilyn made. She had decorated it in the colours that appear on the jacket of Rack, Ruin and Murder and Ann and John were most impressed.Thank you Marilyn and thank you Ann and John for a great morning. Aphrodite's Hat - A Box of Delights. The Box of Delights by John Masefield was one of my favourite books, as a child, and though I've not read it for ages, I suspect it would still engage me. 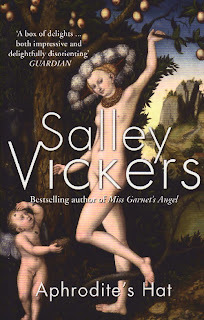 I was reminded of it when I read the Guardian blurb on the jacket of Salley Vicker's latest paperback. Aphrodite's Hat is already very much in fashion - could be the Ascot effect. PS Ann Granger was on the phone today to see if all was ready for the signing on Saturday morning - it is. Don't forget the special deal on the day plus cake and drinky-poos. Don't forget our Ann Granger signing at 10.30 this Saturday (11 June). 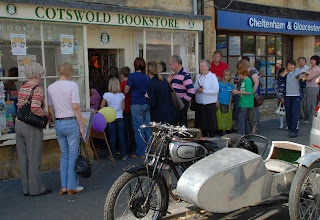 Ann is coming along to support us as a lead-in to Independent Booksellers Week (18th - 25th June). 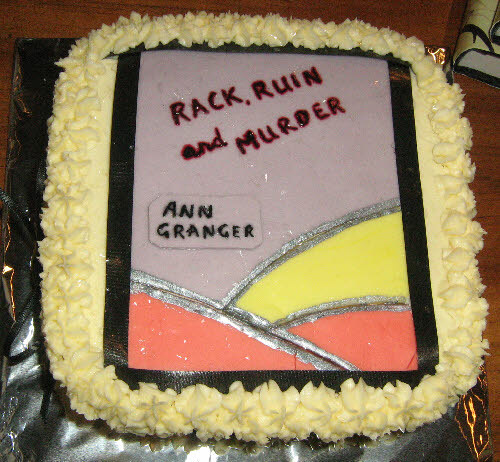 Don't forget, there's a special deal on the day, £5.00 off the price of Rack, Ruin and Murder or a free Ann Granger paperback. There will also be cake and wine (for the signing, not for the whole IBW, obviously!) so do come along and support us too. Now here's a link to the previous item - Sharpe from another angle. 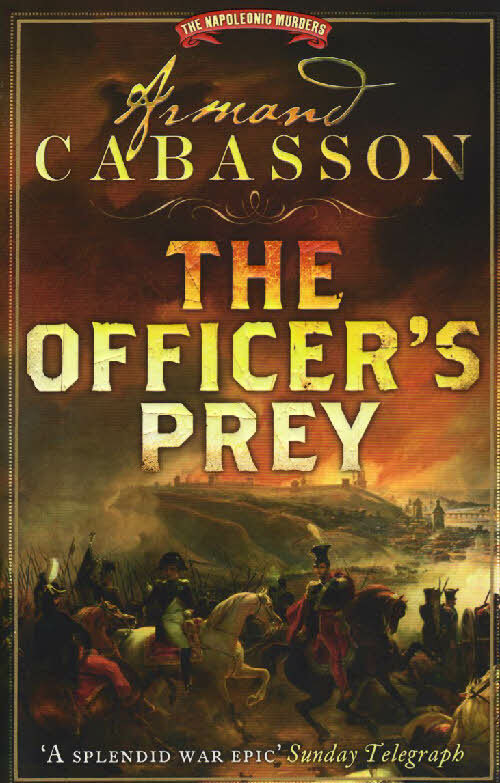 Armand Cabasson's three books are set in 1809 (Wolf Hunt), 1812 (The Officer's Prey) and 1814 (recently published - Memory of Flames) but these tales of the Napoleonic wars are told from the French point of view. 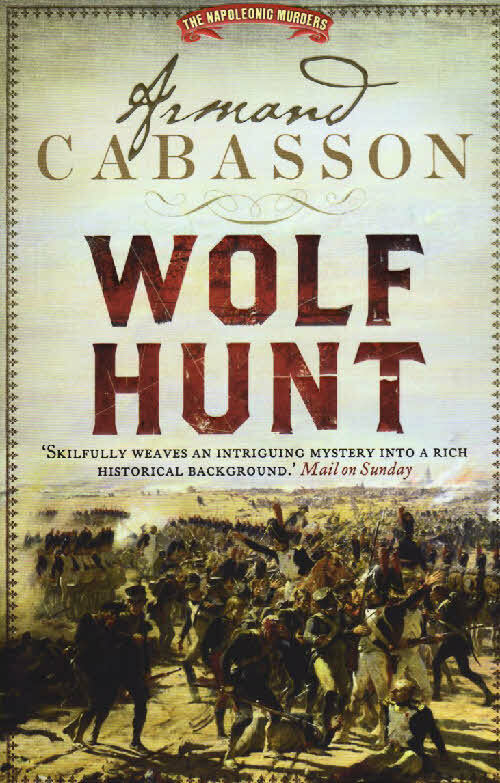 However, these are not just historical war adventures for, at their heart, they are each fascinating murder mysteries. 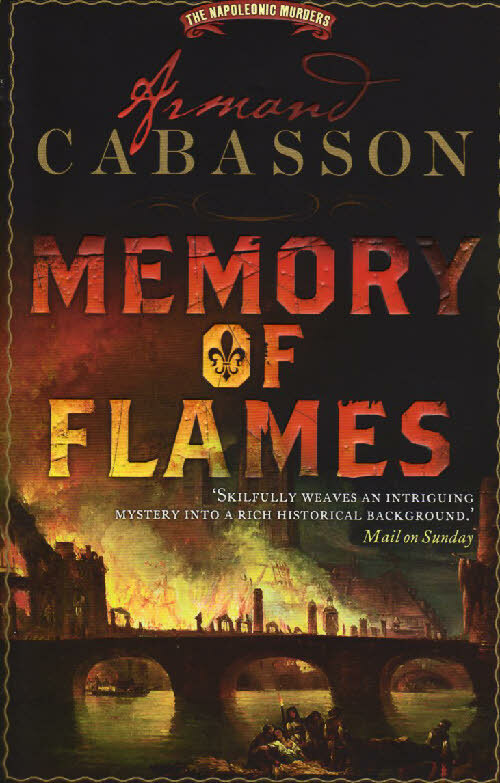 Captain (later promoted) Quentin Margont is the war hero/detective in these unusual and atmospheric thrillers which are worth a read by fans of both the military history and murder mystery genres. 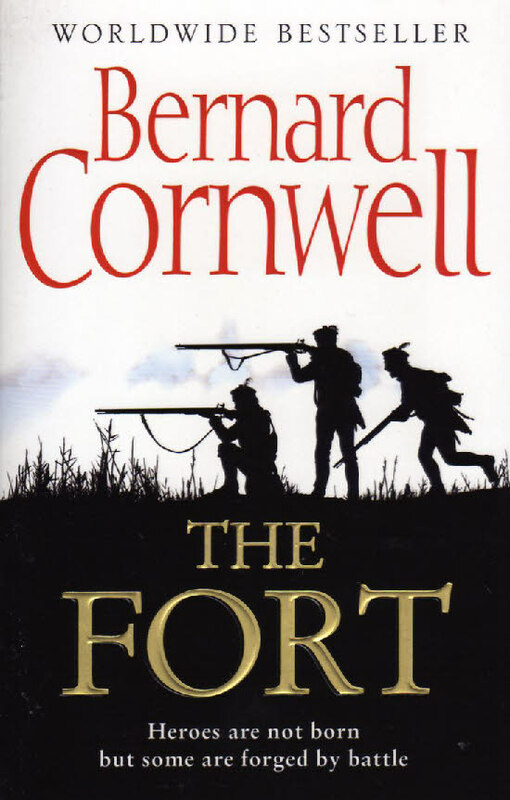 Bernard Cornwell's latest paperback, The Fort, makes a break from Sharpe and the author's more recent look at Azincourt and sets his tale in one of the colonies - America. 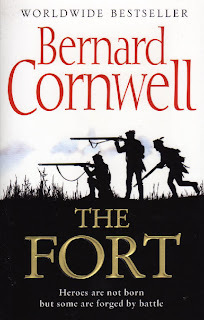 The construction of The Fort (Fort George) and the subsequent battle, was hardly a pointer to the way things would lead in America's war of independence but it makes for an entertaining read. Cornwell shows a comprehensively better grasp of this period than does Sarah Palin and you even get Longfellow's narrative poem The Midnight Ride of Paul Revere to prove it. 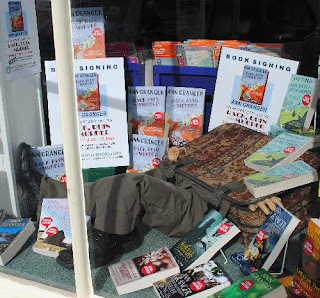 ( bookshopcolne on Twitter) were kind enough to let us pinch one of their ideas for a window. By no means as good as theirs, we have used the idea to promote our book signing for Ann Granger on Saturday 11 June (10.30 am). It's still missing the murder weapon and I can tell you that the body in Rack Ruin and Murder was NOT found in a suitcase but we couldn't fit a sofa in the window! If you want to know any more, come along on the Saturday. 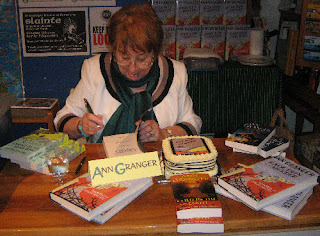 There is a special offer of £5.00 off the price of Ann's new title or, if you pay full price, a free Ann Granger paperback. 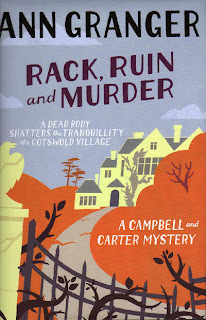 Here's a link to a blog by one of our followers - http://www.fiction-books.biz/new-titles/a-date-with-ann-granger/ Thanks Yvonne - that's a great write up.